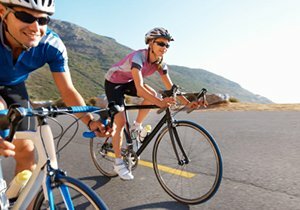 The majority of cyclists fall under the category of “recreational bikers.” Recreational cyclists often participate in local San Diego cycling events or destination rides. Biking is a wonderful way to bring family members together in an outdoor activity that is both fun and healthy. Numerous community-sponsored events and tours, which draw cyclists from throughout the San Diego region, are usually available. 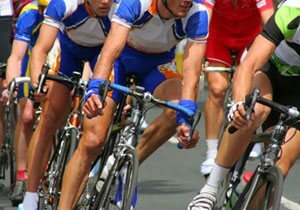 In fact, our San Diego bicycle accident attorney participates in a number of cycling events himself, like the Blind Stokers Club. A significant number of cyclists enjoy planning their own biking routes. However, if you are unfamiliar with the area or are new to cycling, it can be difficult to know where to begin. If you are searching for popular bike routes in San Diego to plan your next ride, our bicycle accident attorney suggests these popular San Diego bike trails, listed below. Additionally, he gives a few bike riding tips to get you started. 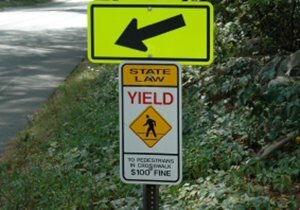 You may even run into our bicycle injury lawyer while you are there! The Point Loma/Cabrillo National Monument is one of the most popular destination rides for recreational and seasoned cyclists. Start the trip at any point along Ocean Beach or Sunset Cliffs. Ride to Sunset Cliffs Boulevard, and proceed south to Novara Street or Point Loma Avenue. Make a left turn, and proceed up the hill. When you reach the intersection at Catalina Boulevards, make a right turn and head up the hill toward Cabrillo National Monument. There is a $3.00 entrance fee for bicyclists (2015). This long, flat park surrounding recreational Mission Bay is ideal for beginning cyclists and children. The park includes a Visitor Center, children’s playground, large grass areas for picnics, bathrooms and plenty of parking. A more suitable destination ride for new and casual cyclists is the path that curls along the San Diego River Channel. The ride is fun and an easy ride, especially for families with young cyclists. Get underway at the parking lot situated at the south end of Ocean Beach and nearby Dog Beach. Once you develop your endurance and bike riding skills, you should try to move on to some of the more challenging San Diego cycling routes and destination rides. Our bike accident lawyer gives you a brief overview of other San Diego bike routes to try here: Must-ride San Diego bike trails. You can also read our bike safety tips on improving your recreational and road biking skills. Here you will find some great and practical information on positioning your body for better balance and comfort when riding. 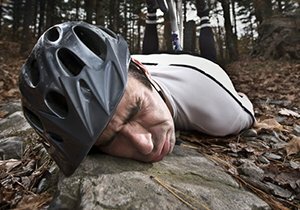 Our sponsor, San Diego bike accident attorney Frederick M. Dudek, is an experienced cyclist. 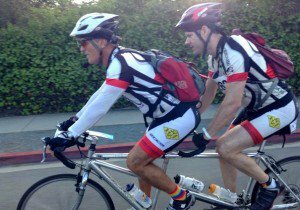 He regularly rides his bike to the office in San Diego and all around Southern California. He knows what it is like to be behind the handlebars when a negligent driver is not paying attention and causes a San Diego bike accident. Dudek has also been in situations where road hazards put him and other cyclists in danger. With his love of cycling, our accident attorney is more than passionate about his work upholding the legal rights of injured cyclists in San Diego, Las Flores, Bakersfield, San Marcos and across Southern California. 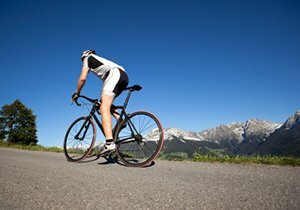 After a bicycle accident involving a negligent motorist or other causes, contact San Diego bike accident lawyer Frederick M. Dudek. He offers a no cost, no obligation consultation to get free attorney advice.